The use of bamboo has increased significantly over the past decade. You might not even notice how many things are made out of bamboo these days. Bamboo is not only beautiful to look at; it is also very useful around your home. Bamboo is the fastest growing plant in the world. In fact, some report that given the right conditions, it can grow up to 39 inches in one day! This is a great reason to use bamboo for a variety of eco-friendly options. When deciding which hardwood flooring you would like, choose bamboo, as it makes beautiful hardwood flooring that lasts a long time and is definitely high quality. It may be a bit pricier than other hardwood flooring options, but it is worth the extra cost. Some bamboo plants are considered lucky bamboo and would be great to have in your home. For example, if you find a bamboo plant with two hearts created, it is lucky in the area of love and marriage. 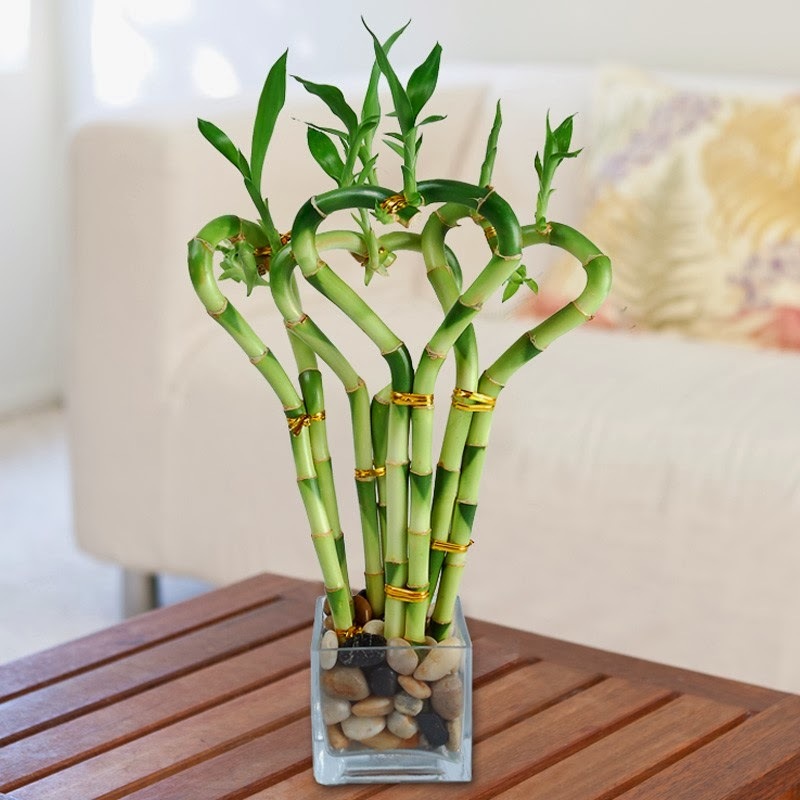 Not only can bamboo be lucky, it is also a beautiful accessory to add to a corner of your home that looks empty or an accent table that has nothing on it. There are so many bamboo plants all around today and even in some backyards. If you have bamboo in your area that you feel could be made into something useful, you could have it made into furniture. Bamboo furniture is very popular and very beautiful. You could have the bamboo made into a dining set, coffee and end table set, or even a stylish and unique bedframe. Yes, you read that right. Bamboo can be used to make beer. It is not only a great and unique party drink, but also is very tasty. If you have a bunch of bamboo around, try having it made into beer and invite your friends over to try your tasty beverage. Many people do not know that bamboo leaves are actually a key ingredient in natural remedies. There are all different sizes of bamboo leaves and all different kinds of bamboo which are used for different remedies. Bamboo combined with a natural ingredient called gypsum can be a natural remedy for diabetes. If you have bamboo just growing around, try having it made into natural remedies and you can save tons of money on medicines and save yourself from experiencing nasty side effects. Bamboo cutting boards are a great tool to have in any kitchen. With most cutting boards, after your knife has been hitting the other side for a while, your knife can become super dull and will need sharpened. Bamboo cutting boards do not cause the knife to dull, thus meaning your board and knife will last even longer. Given that bamboo is very sustainable, it is no wonder its popularity is increasing. Be sure to do some research to see how you can include sustainable bamboo into your life via accents, furniture, greenery, clothing, and more. Seametrics, a manufacturer of water flow meters that measure and conserve water.